Bristol-based Chew Valley Hide & Skin Company uses bespoke plastic pallet boxes to take 9000 tonnes of raw animal bi-products from abattoirs every year. Chew Valley searched for suppliers and settled on a Dolav, designed and manufactured for them by Dolav Plastic Products. It is DEFRA approved. 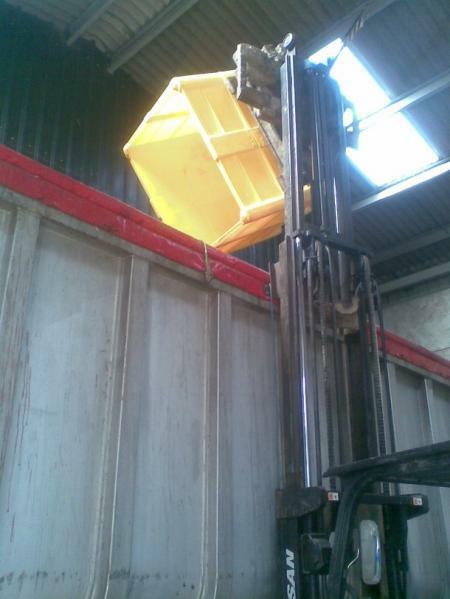 The Dolavs survive very harsh conditions and are often hit by the forklift truck forks when off-site. "With the density of the plastic, they stand up well and we can repair them. They serve us very well," said director, Lindsay Dury. 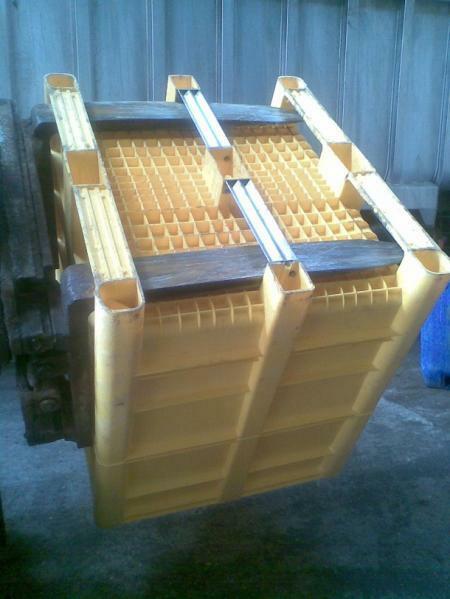 His Dolavs, with sides extended to 1140 mm, take a double-load of up to 1000 kilos. They have a central stainless-steel runner to give extra strength and support especially when inverted with a rotating forklift clamp. "We power-hose them after use and they clean up very well, said Mr Dury. "We only found one other similar box but it was not as strong and suffered badly from being knocked about."